Kizlyar Supreme Savage Knife for sale is 10.25 inches in all. Savage Knives are made by Kizlyar Supreme and are available with D2 Tool Steel or AUS8 Stainless Steel and feature either a satin or black Titanium (TI) finish. The 3D textured G10 handle features an ergonomic design and measures 5 inches in length. The front finger groove of the handle is where the balance of the knife is positioned which allows for exacting blade control. The handle has two functional lanyard pins. These blades have a slight kukri shape and a full flat grind. The blade is 5.25 inches. The Savage Knife with D2 Tool Steel has 60-63 HRC while the AUS8 Stainless Steel Savage has 58-60 HRC. The guard 1.25 inches wide and 5/32nd inch thick. These knives are manufactured in Russia and weigh 8.6 ounces. 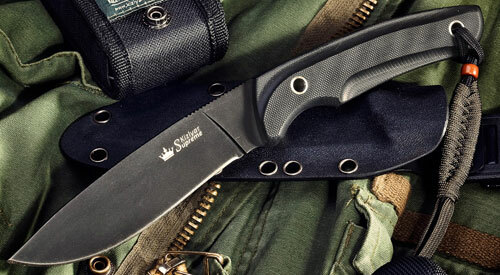 The Kydex sheath has a removable and rotatable clip. Kizlyar Supreme knives come with a lifetime manufacturer`s warranty. 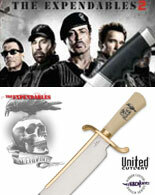 Buy these Kizlyar Supreme Savage Knives starting at $119.99.